Up until 1962 this area of the falls which affords some of the most dramatic views of Niagara Falls had very few visitors. 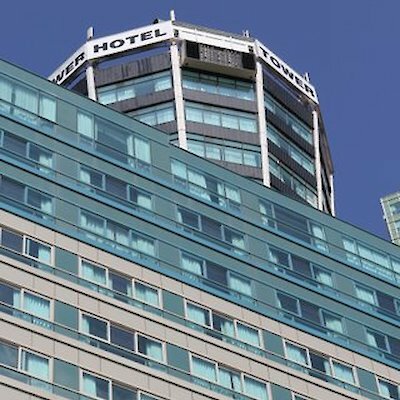 It was not until 1962 when a Buffalo promoter, Charles Augspurger decided to take a gamble and build the 99 metre (325 foot) observation tower called at the time the Seagram Tower to unveil a view never seen before. Visitors saw the tower from a distance and found their way to the Fallsview area. I can remember as a licensed Niagara Parks Tour Guide (Badge #53-I still have it) taking visitors to this area and how amazed they were to see the view from here. The Seagram Tower has under gone many changes both in name and renovations over the years. 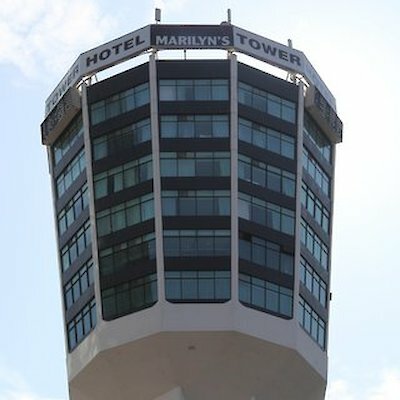 Today it is called the Marilyn’s Tower Hotel with guest rooms and a restaurant at the top of the tower. The tower is now dwarfed by taller hotels and restaurants. This all occurred due to the vision of a lone entrepreneur.